With less than a year to go in the office, amidst the decision of the monetary policy committee of Reserve Bank of India to raise its benchmark repo rate by 25 basis points to 6.25 per cent, the Modi government might be taking a chance with the growth prospects as the economic recovery is still at a elementary stage and entails a circumspect approach at this crossroad. Despite the fact that the MPC’s advancement was contrived by global financial market developments which itself hinge by uncertainty. As most emerging economies are confronting the pressure on their currencies set side by side with US Dollar and rising interest rates. Central Statistic Organisation (CSO) latest data indicate that Indian economy growth clocked at 7.7 per cent in the fourth quarter (Q4), which was highest in the last seven quarters, more than 7.0 per cent in third quarter (Q3) and 6.1 per cent in Q4 of FY 2018. This robust growth rate was highest in last seven quarters making India, the fastest growing economy in the world leaving behind China, which grew at 6.7 per cent during the last quarter. It was argued that the main job creating sectors of the economy namely manufacturing, construction, trade and services had been badly hit in the aftermath of demonetisation and GST. This rebound in growth reinforces that the economy is back on track and is set for a strong recovery after the period of disruptions sparked by demonetisation and GST implementation, which is possible due to robust performance by manufacturing, construction and service sectors and good farm output. In Q4, the turnaround in the economy was underpinned by expansion in manufacturing, construction and farming, while the services industry, which contributes more than half to the economy, grew at a slightly slower pace. Farming achieved growth rate of 4.5 per cent, manufacturing grewat a pace of 9.1 per cent, and construction recorded double digit growth rate of 11.5 per centin Q4, while trade, hotel, transport (6.8 per cent) and financial services (6.7 per cent) growth slowed from their growth levels in the Q3. This revival of the economy was led by decent growth of government final consumption expenditure (6.8 per cent in Q3 to 16.8 per cent in Q4), gross fixed capital formation (9.1 per cent in Q3 to 14.4 per cent in Q4), and private final consumption expenditure (5.9 per cent in Q3 to 6.7 per cent in Q4). In particular, the good news is about the robust growth of gross fixed capital formation, which is a proxy of investment demand in the economy, achieved a double digit growth after a gap of seven quarters, signalling a revival in investment. However, inspite of all these positives, there are many challenges. The year on year growth of Indian economy estimated at 6.7 per cent in FY2018, which was slowest in the last four years since Modi government came into the power. Much of the Q4 growth was due to low base of Q3 (6.6 per cent) and led by high government final expenditure. 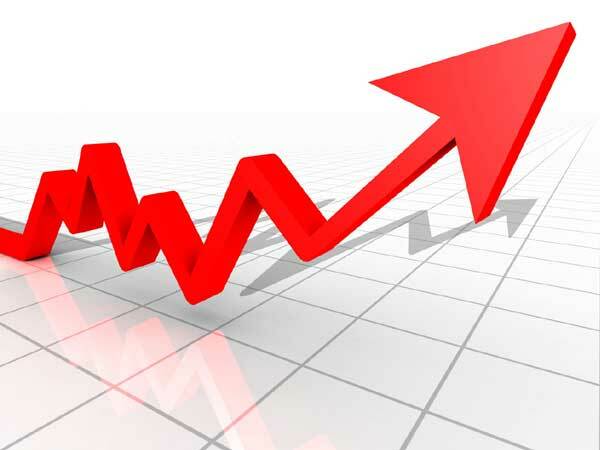 In addition, the value of Indian currency depreciated against dollar by more than 5 per cent during the last few months, and the surging oil prices has also hiked the inflation rate.The export growth was much slower in than import with crude oil prices remain high, fiscal deficit likely to get worse. India’s imports over two-thirds of its crude oil requirement and surge in crude prices could upset the growth of the economy. The Modi government can claim to have earned revival of economy through public expenditure at a time when private players are still not confident and waiting for any further investment. It has been argued by Arther Keynes, a classical economist that during the economic slowdown, the government ought to deficit spending in an effort to stimulate further demand, elevate growth rate and reduce unemployment. The government adopts Keynesian path and pump-prime the economy by huge spending. Keynes, thus, points out that the need of public investment as a balancing factor when the economy happens to pass through a period of depression. This could be done by stimulating growth by ensuring the government projects go on stream in time and by cutting interest rates. This would boost confidence of the private investors who will in turn invest more funds in the market. However, the government needs to spend judiciously to spur investment and demand in the economy because this leads to high fiscal deficit. The ultimate long term focus should be to give more emphasis to revive private investment to maintain along term sustain growth momentum. The government spending may be obtained on the presumption that private investment, left stranded, is no longer capable of maintaining full employment either in the short run or in the long run. In the current circumstances, the RBI’s step to hike interest rate and lending rate on the ground of rising inflation rate and depreciation of rupee value, it is being said that the inflation is being led by supply side issues, raising interest rate would hurt growth while proving unequal in the task of tackling inflation.The RBI needs to reassess and revert to the policy of benign interest rates which would be growth supportive. Right now, markedly the private investment draws out to face stumbling blocks in the form of corporate debt bulges, encumbrances in the financial sector with spiralling bad loans, exuberance industrial capacity, and regulatory challenges are laying detrimental pressures on country’s promising growth. The vulnerability in private investment has been ascribed to local and global excess-capacity, leveraged corporate and bank balance sheets, and remaining domestic bottlenecks. Consequently, the government should deliberate on attracting more private investment by providing healthy environment instead of all-in-all pushing more government money for the recovery of economy, which is not a possible solution for the long term sustainable growth. The government must heed the warning before it becomes too late and things are irretrievable.